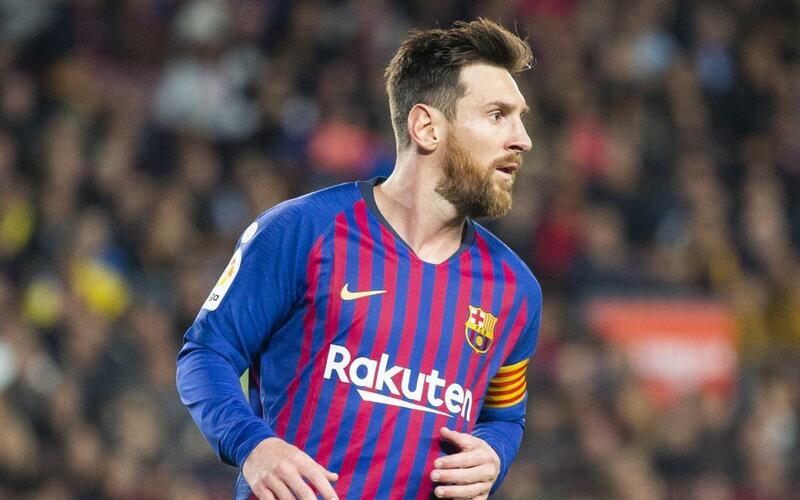 Multiple Golden Shoe winner Lionel Messi is back at the top of this season's ranking for the prestigious prize, thanks to his 16th goal of the season in the win against Getafe. The Argentine now has 32 points in the chart, one more than second placed Liliu from Estonian side Kalju. The ranking takes into account the strengths of the different European leagues, with LaLiga goals receiving 2 points each. Messi's 16 goals have come in 18 games, and he has scored against 10 different sides this term. Fittingly, he was the scorer of Barça's first goal of 2019, something he also did in 2017 against Villarreal and 2018 against Levante. Scoring against Getafe also extended his run of consecutive goalscoring league games to 4, with 7 successful strikes in this period. In this kind of form, the FC Barcelona captain is a favourite to win yet another Golden Shoe. Win the shirt of LaLiga's top goalscorer so far this season!